Almost the whole population of Australia lives within about an hour’s drive of the coast, making this one of the world’s great beach countries, if not the greatest. It was about time I got to see one on this trip. 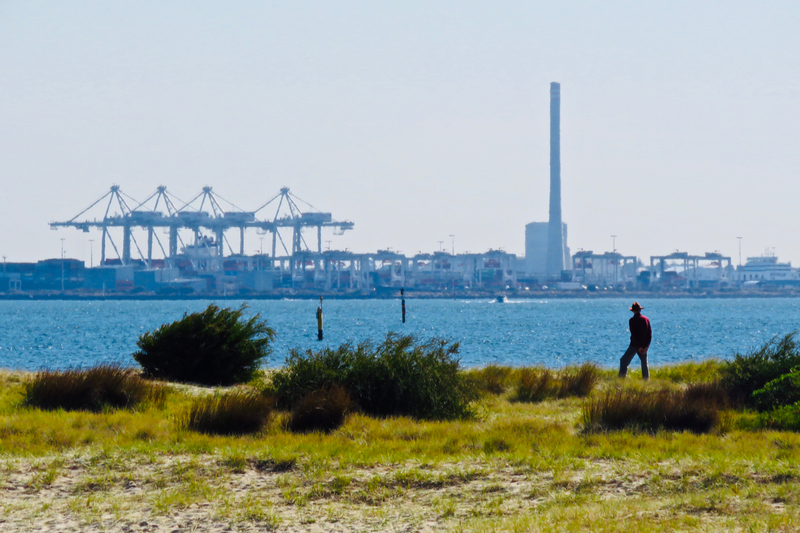 Not that South Melbourne beach is one of the more glamorous ones — but never mind, it was a beautiful day. Yesterday’s rather sombre subject matter was matched by the Thursday weather on Alderney, but the sun returned today to brighten up our last day in the Channel Islands: we had breakfast here, lunch in Guernsey and dinner at home, in Hebden Bridge. 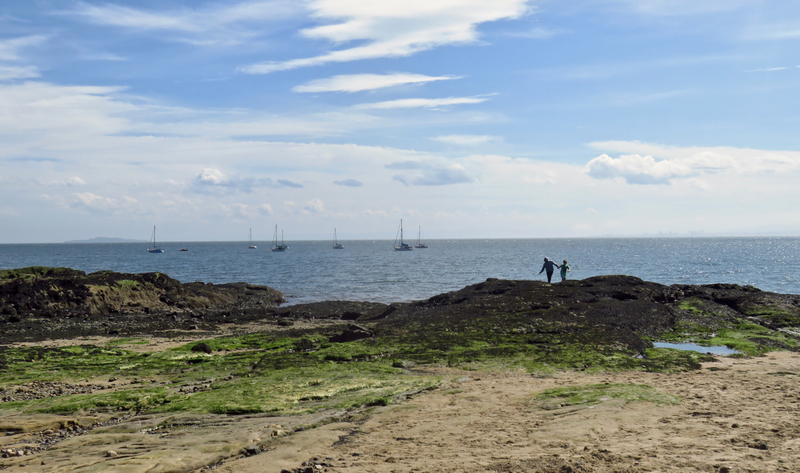 The general family consensus was that we could take or leave Guernsey, but the smaller islands we visited, Sark and Alderney, do tempt one into fantasies of retiring from the world to island life. 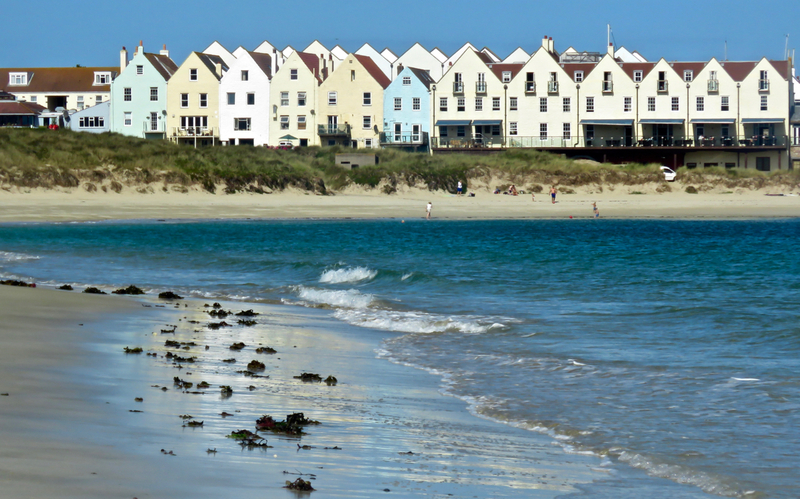 It’s places like Braye beach — almost empty on a glorious August morning — that particularly encourage this. The Isle of Sark lies a few miles east of Guernsey and in the 16th century was the haunt of marauding pirates, at which point Queen Elizabeth the First empowered a lord and a group of 40 families to settle it. And not a great deal seems to have changed since. There remain no tarmac roads, street lighting nor cars on the island, which is a spectacular and beautiful place. Today is one of those days where my limiting myself to one shot per day makes it difficult — I could have chosen any of a dozen pictures today, including the precipitous La Coupée, which is Sark’s most famous (and clichéd) sight, but I’m going with this one because I like the light. 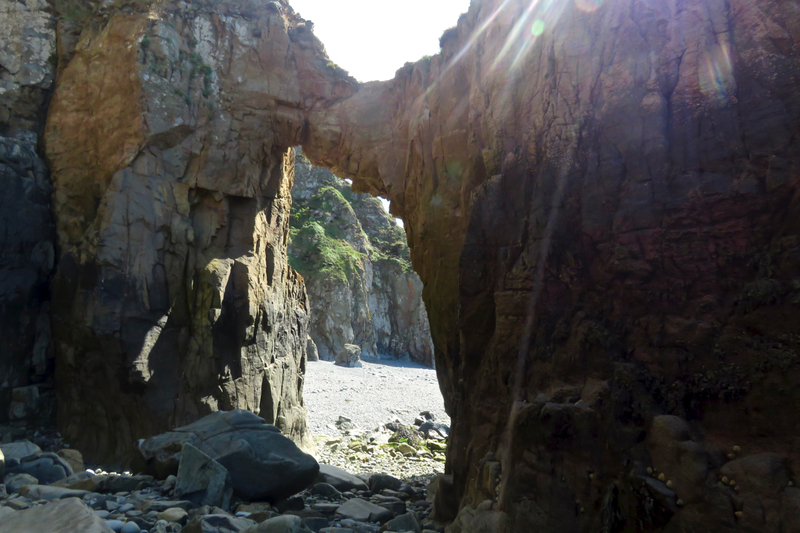 This impressive rock arch is down on the beach of Port de Moulin, one of the few places that you can get down to sea level from the upper plateau — one reason those pirates were so fond of Sark. Should you get the chance to visit here, I highly recommend it. Optimism in the face of bleakness. 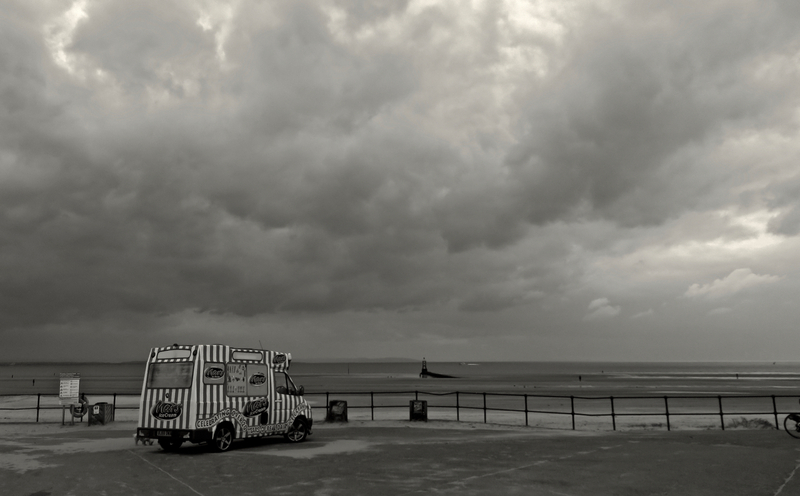 These are the qualities that have kept the British seaside going for many generations now. A day in Brighton, a day of meetings and non-meetings. The person I was supposed to meet didn’t turn up. Then I met someone nice I did not expect to meet. Then I met a bunch of hypocritical Brexit voting Daily Mail reading obnoxious Nazis in my hotel bar in the evening. 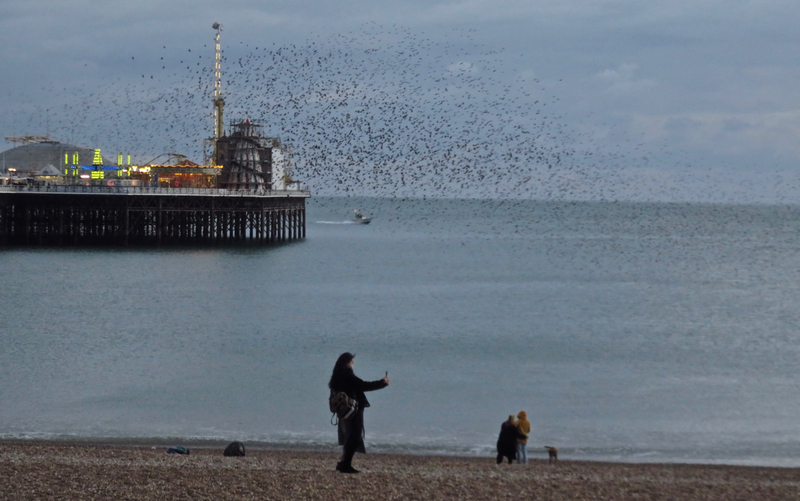 Then there were the starlings heading to roost on the pier. 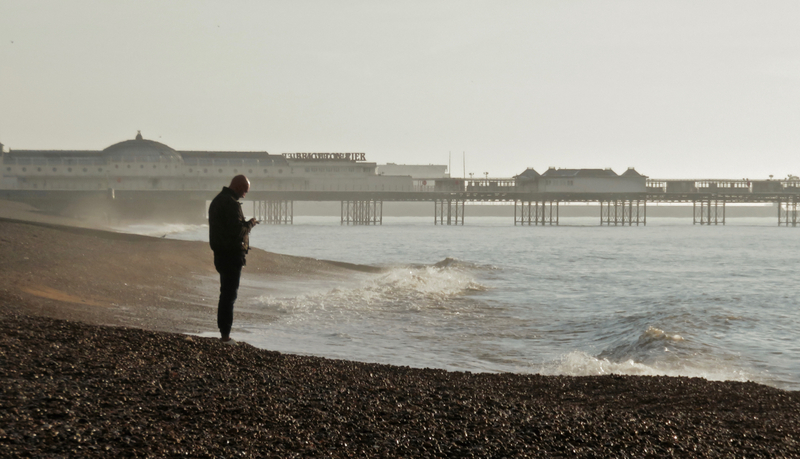 Maybe the lady taking a selfie (or possibly a shot of the West Pier, depending on which direction her camera was pointed in) could have turned her head to the left a bit to witness this impressive natural phenomenon. But it’s all about perspective isn’t it. ‘Detectorists’ = ‘people who head out and comb fields, beaches, toxic waste dumps etc. with metal detectors’. There was an agreeable TV series featuring these lovable rogues, I believe. Well, not these two perhaps. 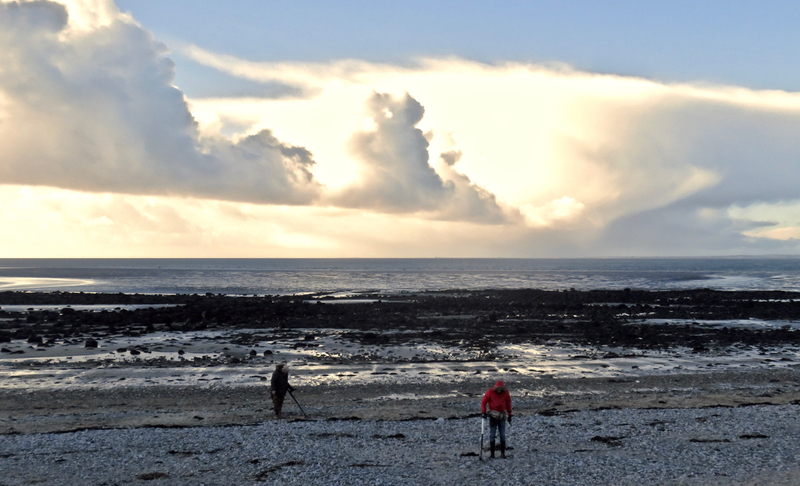 Excellent day for photography today by the shores of Morecambe Bay. For the first time in ages I feel minded to add something to the Best of the Rest page as well as this shot. It’s certainly an attractive corner of this island, I’ll give it that. I don’t just like spending time in Brighton because of the football, you know. Far from it. 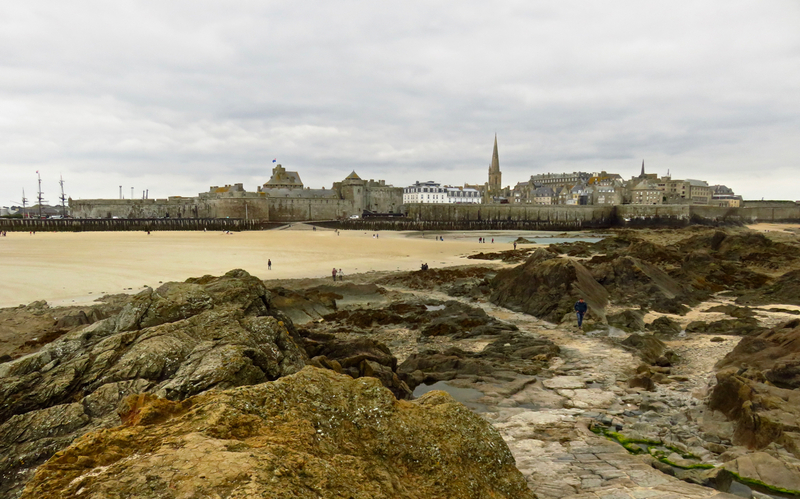 St Malo is on the northern coast of France, close to where the coast of Brittany takes a turn to the north and becomes Normandy. The old town is behind a complete ring of 17th century fortifications built to defend against the nasty English and Dutch. The tidal range here is extensive, some 45 feet between high tide and low; the broad beach you see here is completely covered by several feet of water twice a day. Rimmer: I didn’t agree with my parents’ religion. But I wouldn’t have dreamed of knocking it. Lister: What were they then? Rimmer: Seventh-Day Advent-Hoppists. 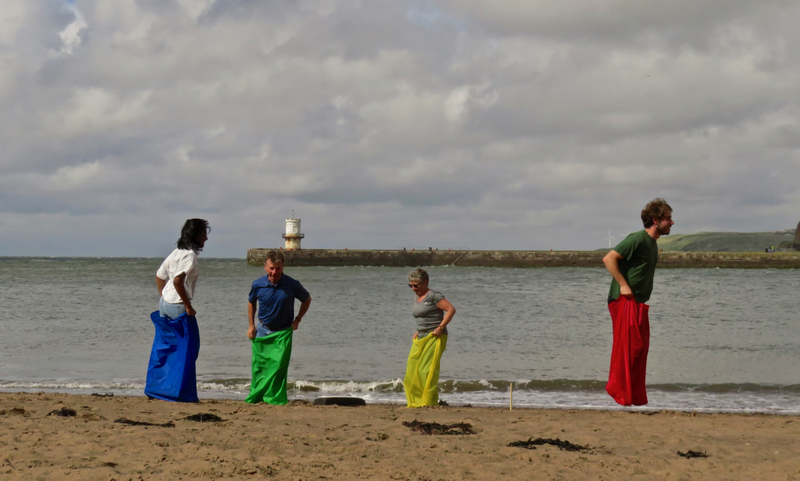 They believed that every Sunday should be spent hopping. They would hop to church, hop through the ceremony, and hop home again. Lister: What’s that all about then? Rimmer: Well, they took the Bible literally. Took it word-for-word. Only their version had a misprint. It all stemmed from 1. Corinthians 13, where it said “Faith, Hop and Charity; and the greatest of these is Hop.” So that’s what they did. Every seventh day.